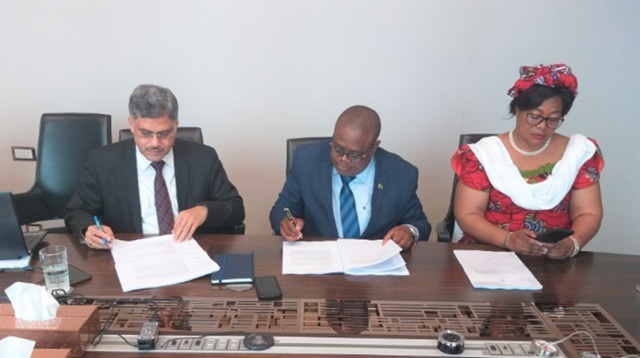 Jaguar Overseas Limited (JOL), a New Delhi-headquartered, ISO-certified Global Project Export Company, has announced that it has begun work on constructing 201 health posts in North-Western, Northern, Muchinga and Luapula provinces of Zambia, a landlocked country in South-Central Africa. The Government of India and the Government of Zambia have jointly funded the $15mn project. This 18-month long project will benefit nearly one million people in rural Zambia. It is the second contract order that JOL has received from the Government of Zambia. The first order worth USD 19.47 Mn was received in the year 2013 that involved the construction of 208 health posts in the country. The ambitious Indo-Zambian joint project is central to the vision of the Government of Zambia, which is providing rural healthcare under Zambia’s Health Policy, 1992 and became operational with the Health Services Act of 1995. Healthcare has been declared as a priority sector by the Zambian Government. Most of the health facilities in Zambia are owned and operated by the public sector, which is supplemented by private healthcare companies. In addition to the tiered healthcare system, special attention is also being given to remote areas through mobile health services and Zambia’s Flying Doctors’ Services. The primary aim of this project is to construct health posts in all ten different provinces in Zambia. As per a WHO report, poor environmental sanitation is a major source of public health problems and epidemics in Zambia. It is estimated that over 80% of health conditions suffered by the people of Zambia pertain to diseases related to the environment, such as water and food-borne diseases, including cholera, dysentery and typhoid. The project is focus on providing basic care and support services to reduce infant and maternal mortality rates. These health posts will help in offering timely treatment services to all patients, enabling equitable access to cost-effective and quality healthcare services within 15 km of each household. K C Mulalelo, Permanent Secretary, Ministry of Health, Zambia Government, said, “Zambia is facing a healthcare crisis owing to poor environmental sanitation. There is a high prevalence of both communicable and non-communicable diseases. We are happy to once again partner with Jaguar Overseas to help us re-structure our healthcare facilities and work towards improving the overall health of the people of Zambia. The construction of new health posts will ensure timely medication and world-class healthcare infrastructure to reduce infant and maternal mortality rates in the country. Under this contract, JOL is responsible for developing highly equipped health posts that will include the construction of prefabricated posts and staff quarter buildings with concrete foundations; steel columns and structures; concrete wall panels along with solar lighting system.